Guidelines and strategies for the examination, diagnosis and treatment of the upper cervical spine and headaches – from the IAOM-US. Evidence-based examination procedures and diagnosis-specific management strategies for the upper cervical spine and headaches from the International Academy of Orthopedic Medicine-US. 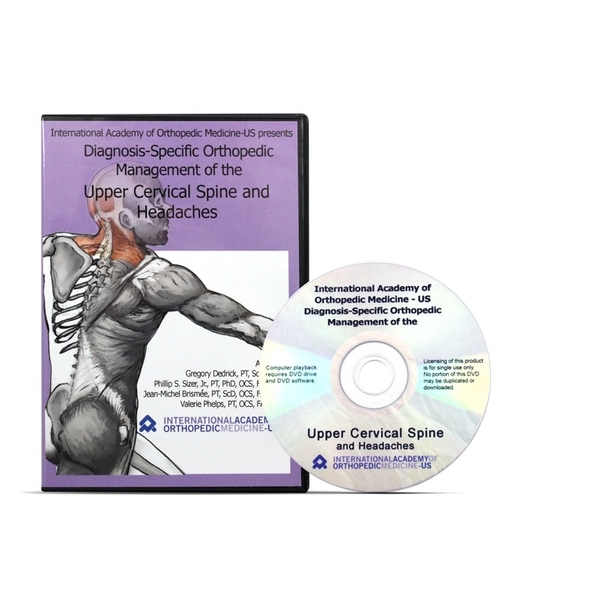 DVD is organized for efficient self-study in an academic, clinical or home environment. DVD runtime: 2:29:42.